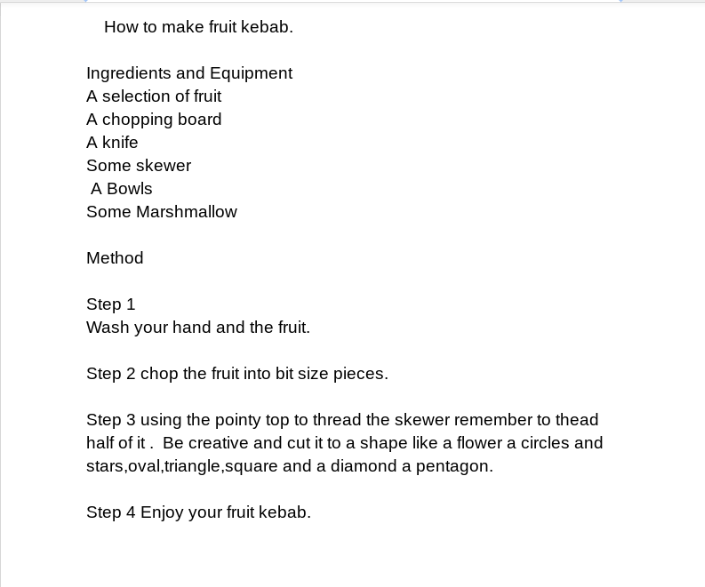 Fine @ Tamaki Primary School: How to make a fruit kebab. 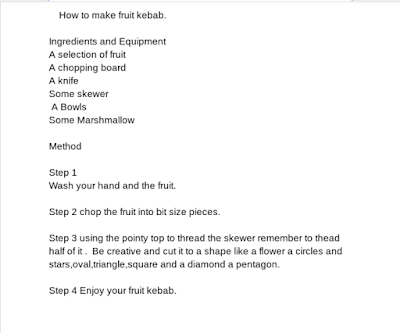 Beautifully presented fruit skewers, with a colourful pattern. You certainly have an eye for detail. I love marshmallows -so I would love to taste one. 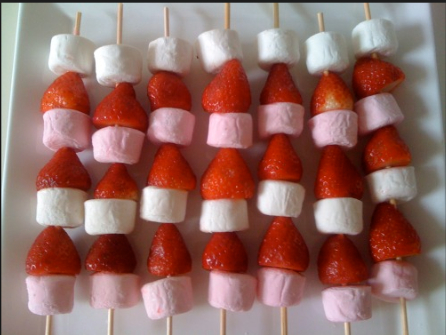 Your fruit skewers look inviting. Things that are important to tongan. The Foot Bridge That collapse.